Now everybody is “uncaging” their adidas UltraBoost like crazy. You can see tons of videos on YouTube, articles and photos on Instagram, I mean it became viral. So, adidas decided to make their own original version of the adidas Ultra Boost Uncaged. Let’s see if they can beat the original model. 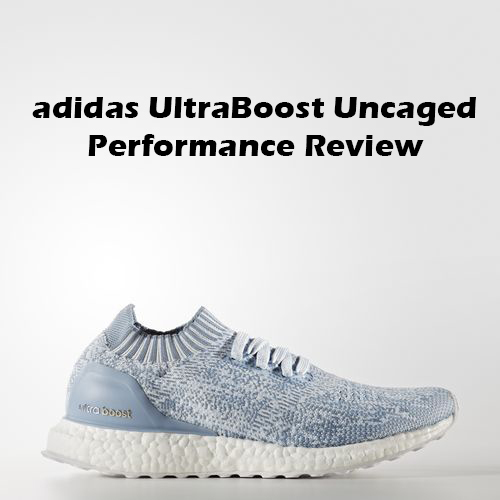 Welcome to my adidas UltraBoost Uncaged PERFORMANCE REVIEW! As the original UltraBoost they feature pure Primeknit upper. What can be better than 100% Primeknit all over your foot? The answer is NOTHING. I just don’t have any words to describe how great they feel on feet… The upper offers superb flexibility and breathability. Also, the fabric is incredibly soft but not too soft to the point you can feel uncomfortable. However, the UltraBoost Uncaged isn’t fully “uncaged”. What they done is that adidas removed the TPU stripes from outside, BUT they add Nylon backing inside of the shoe and put glue overlays around the laceholes to prevent Primeknit from ripping off. I just don’t think that it’s possible to make pure Primeknit upper without any backing layers and still keep decent support, maybe in the future but not for now. I don’t think you need to hear my opinion about BOOST once more. But for you guys I will say it again. YOU CANNOT GET BETTER CUSHION SETUP THAN BOOST. Each and every year BOOST is evolving. I’m just very curious about how far adidas can go with their amazing cushion tooling. Ok, back to my performance review. The cushion setup on the Uncaged version is exactly the same as on the original UltraBoost, nothing have changed. But hey… If it ain’t broke, don’t fix it. As always BOOST performed AMAZINGLY – unbeatable comfort and responsiveness. You will experience unforgettable feel while running, training or just going for a walk. The adidas UltraBoost Uncaged has that traditional UltraBoost traction pattern. They kept Continental rubber, so the outsole will last longer, it’s very crucial for outdoor runners. The traction pattern isn’t so aggressive, but during my performance review I received quite a bit of grip with the track. In addition, if you that type of guy who likes to do their trainings inside then the UltraBoost is perfect fit for you. You know why? Because the traction pattern performed perfectly on inside track, at some point it was even too great. So the main purpose of the uncaged UltraBoost is to release that full comfort and Primeknit power. As we can see, adidas added knitted collar that wraps your foot very nicely. I had no issues putting them on since the collar was able to stretch enough. Also, uncaged version doesn’t have any support features besides the external heel counter and Torsion system, so it’s very very important to choose the right size. For all of you I recommend going true to size, because the Primeknit upper can adapt to every type of feet, so no worries on that. Of course, the best scenario is to go in your local sneaker shop and just try them on. Primeknit is no joke. The upper offers lovely, one-to-one fit and does not restrict your natural feet movements at all, it’s like wearing socks. Love it! Are they more comfortable than the original UltraBoost? Definitely, they really beat the prime version in this category. To begin with, support is nowhere to be found in this model. Adidas removed the only part that was able to keep our foot tight and in place. I mean, for casual wearing this is ideal – nice to feel freedom in forefoot area. However, for serious runners this model is not an option. For them I recommend going with the adidas AlphaBounce or something similar to that. The external heel counter and Torsion system did the job well – sturdy midsole, secure feel in heel area. Still, I was missing some support in midfoot area to protect my feet from rolling over the midsole while quickly changing directions. The TPU cage was able to protect from that. Unfortunately, we don’t have this feature in this version. BUT! If you’re not a professional runner like me, then the UltraBoost will not let you down. For simple, daily run they are perfect. First of all, besides removed TPU cage, the Uncaged version is almost exact the same as the original UltraBoost. If you have never had a pair of UltraBoost, I just don’t know what are you waiting for. Go and grab them right now! I’m waiting… Paying $180 bucks for other sneakers is a lot but not for these bad boys. It’s very simple. Need more support? Go with the original UltraBoost. Want that amazing comfort and full freedom for your feet? Then the UltraBoost Uncaged is what you need. 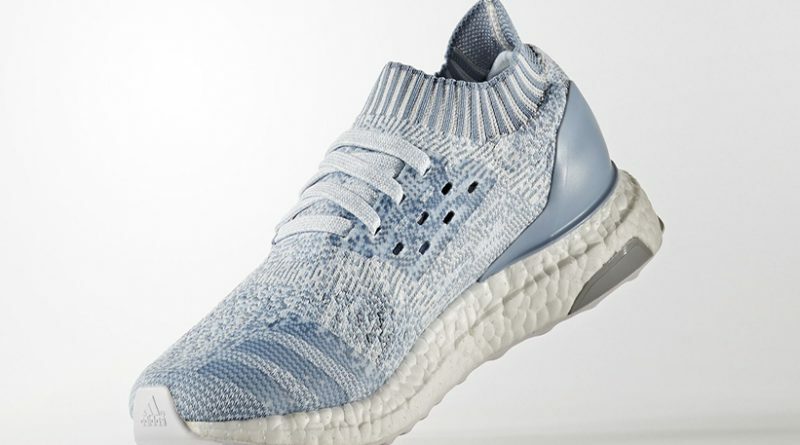 What do you guys think about the adidas UltraBoost Uncaged? Did you cop it? Comment below! ← Nike PG1 PERFORMANCE REVIEW – Cop or Drop? I dig this shoe. It looks really dope and looks really comfortable. Does the ultraboost come in different colorways? Yeah, you can pull them off with almost any outfit, that’s why they always in my rotation. WOW! I have never heard of this kind of Adidas shoe. 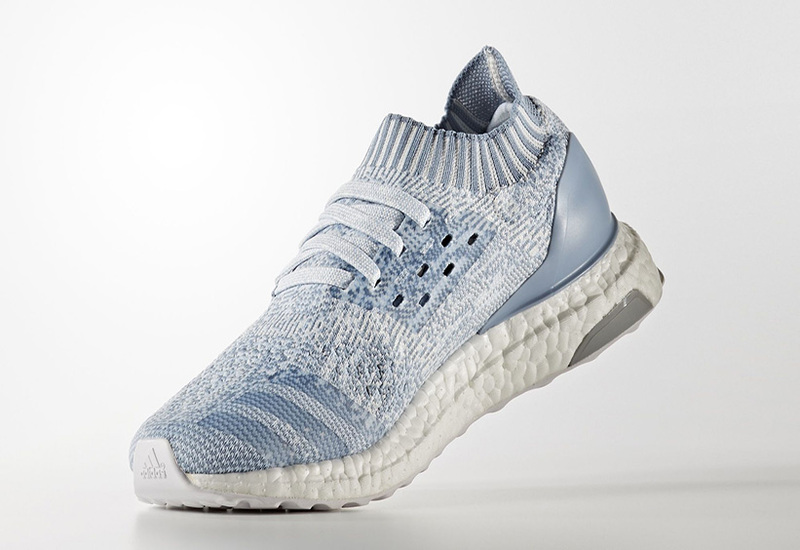 Between the Primeknit upper and the sole portion of the shoe, I bet your feet would feel like they are walking on a pair of clouds…if that were even possible. This is a really cool looking shoe, though probably not advisable to wear out in the rain. I also really like that knitted collar. Sort of reminds me of that very comfortable feel one gets from a soft sweatshirt wrist cuffs on the sleeves. I know one of the areas that can be sort of uncomfortable with new athletic shoes are the front and rear areas around your ankles. That knitted cuff looks as though that is not a problem. You guessed it right! They definitely feel like walking on clouds. You need to try them on! Rain does go through the Primekit upper but just a little bit, so it’s not a big deal. However, if you afraid of getting them dirty then the rain can be a small problem for you. Other than that, I can’t see any major problems wearing the Ultra Boost in the rain. Very interesting comparision, I like that. LOL 😀 The collar is very nice addition to the Uncaged version of Ultra Boost. It makes you feel like the shoe is actually a part of your body. This shoe looks like I would be in total comfort and they look really stylish. I must admit I never paid that much for a shoe in my life. How durable are they and how long will they last with average usage? I’m out of the running stage but I am wondering would it make a good leisure biking shoe. What do you think about that? In your case, they will last for a long time. I think if you are ready to pay $180 for the Ultra Boost and use them for biking then you will be more than happy with your choice. Although, I don’t see any need to pay huge money for the running shoe and don’t use them for it. I recommend you to take a look at The adidas AplhaBounce. My performance review on the adidas AplhaBounce here. Nice review. Personally I would not wear them because as you say they do not have much support. I need a whole lot of support for my feet. Again nice review. If you will wear them casually then support is not a problem. However, for running I recommend to choose the original Ultra Boost with TPU cage. Daumantas Rimkus on Best Basketball Shoes for Women – My TOP 10!